Located on the central coast of California, Stepladder Ranch was founded in 1871 and has been family-owned and operated for three generations. 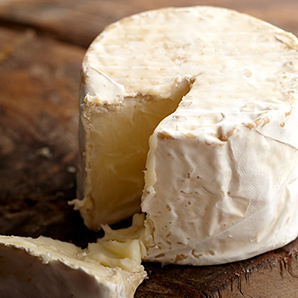 After a brief career in the tech industry, cheesemaker Jack Rudolph took the ranch over from his grandfather and built a creamery and dairy. In addition to pigs, avocados and citrus trees, the ranch is now home to 35 LaMancha goats who provide the milk for Stepladder's farmstead cheeses. 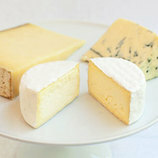 The creamery also works with cow's milk from a small, local mixed herd of Jerseys and Holsteins. 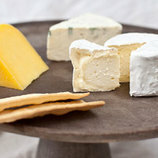 Named for the gateway to Big Sur, Ragged Point is a bloomy-rinded triple crème cow’s milk cheese. 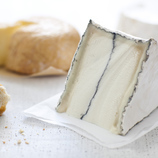 Although a distinct cream line forms as the cheese matures, the interior paste stays firm. 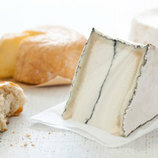 The cheese takes on flavors of mushroom and pepper, making it the perfect foil for apples and honey.